Its been a long time since I updated this so here are the latest happenings. I took a small detour on this project to get my White 91T MR2 2GRFE swap completed. Had to get one set of wheels "Good to Go" so the wife would be supportive of getting the other done. In between work on the TRD car has been happening. 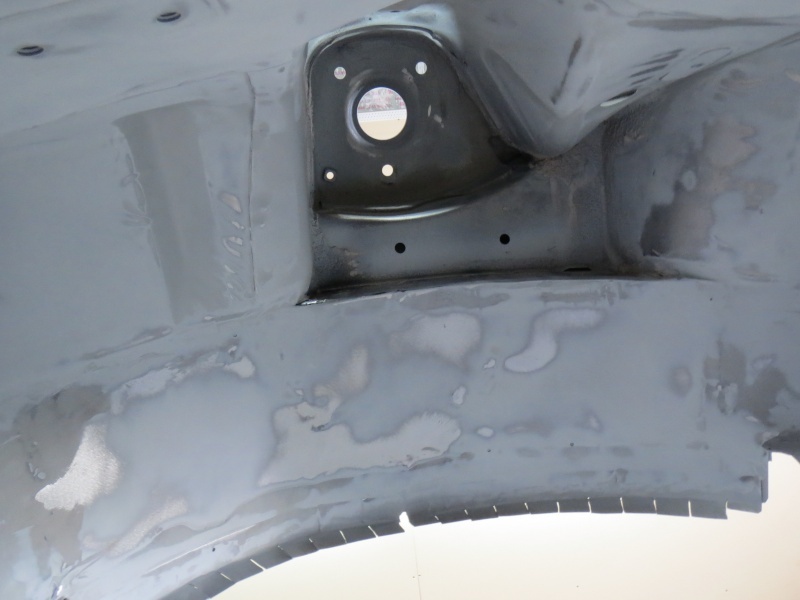 The Chassis has been completely stripped down and extensive metal work is being done to the rear quarters to allow for as much rubber as possible when it is reassembed. Although some may think it to excessive, the car is systematically being stripped down to metal and then reworked everywhere. 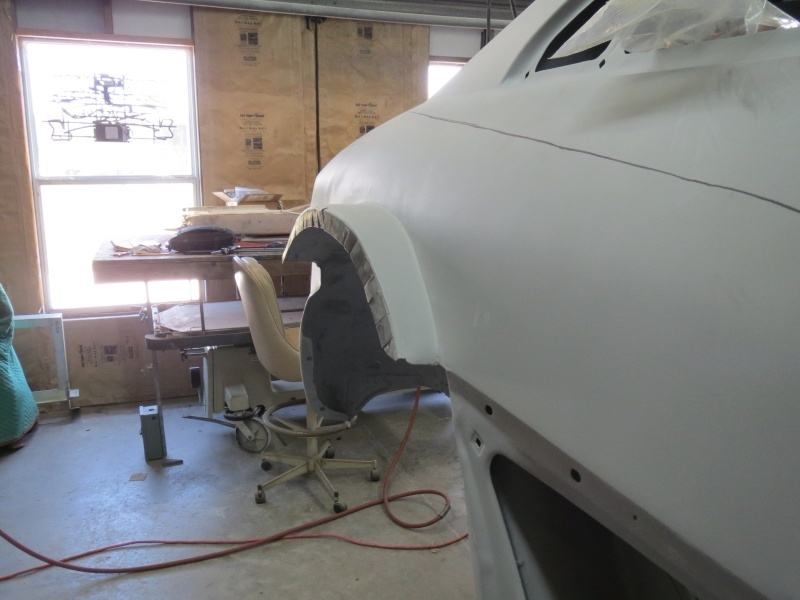 Currently most removable body panels have been stripped down and reprimed. The underside of the chassis, wheel wells, roof, and frunk are in different stages of strip and reprime. We have 5 test panels of different final color shades in an effort to get the final color nailed down. Door trim has been shaved. 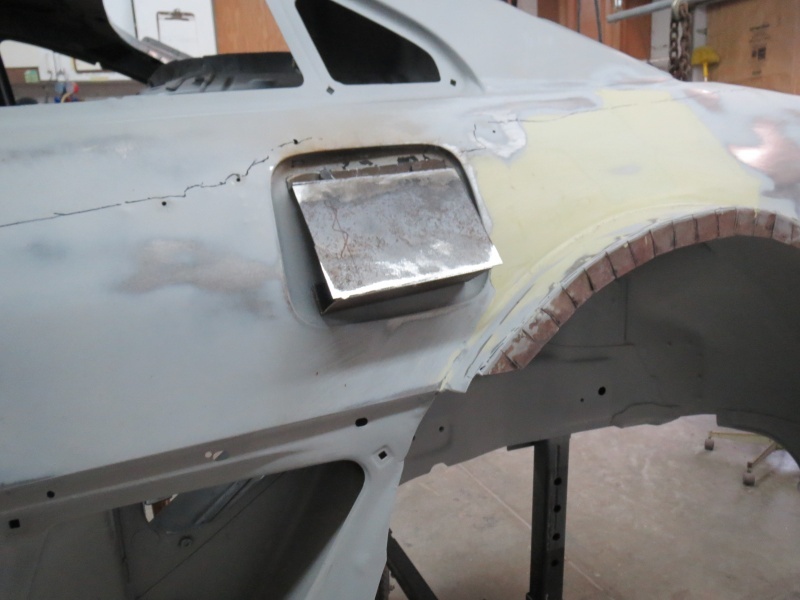 Instead of filling it with bondo, we opted to bond in a metal channel in order to use the least possible filler. Fiberglass work has been done to undo the evils the previous owner did before abandoning the project. Just like what happened to me when I built my stroker 3SGTE a million years ago, nothing existed yet.... now all the stuff I made for my 3S is readily available. I am having to make everything for this motor. Most of the parts that I have made so far, I have available for others. The block has been sleeved, bore out to 98mm, and O-ringed. Something Toyota said could not be done with that engine. I made custom billet main caps for the engine. This bottom end should be ridiculously strong. Our Forward Motion Performance Baffled Alum. Oil Pan. Here we have our high performance head gaskets and header gaskets. The heads are currently being massaged including titanium intake valves, inconel exhaust valves, bronze valve guides, fixed pivots, captured rockers, and coatings. Pistons, rods, and crankshaft are on stand by for the completion of the heads. I have everything already for the suspension with the exception of wheels and tires. TRD sway bars front and rear, Toda Racing Fightex Type EX Coilovers with remote reservoir, Roll Center Adjusters, chrome moly Lower Control Arms. I just received this very morning my Wolfkatz Stage II.5 BBK with red Wilwood calipers front and rear. This kit looks amazing..... I highly recommend them. Garrett really takes pride in what he makes. Now for the twist.... We are not going to be using the E153 mentioned in earlier posts (that one ended up in the white car). We are going to use an Lotus Evora 6 speed but without all the silly adapters Lotus is using. I modified the bell housing to accomodate the starter. Still have plenty of work to finish this up. Will post some more updates on this when I am futher along. Wow it has been along time since I posted an update. Well anyone that has ever restored a car or done a customized car knows how long this stuff takes to do. The photos I will share here don't look like much but the amount of work that has gone into getting it to this stage was extensive. 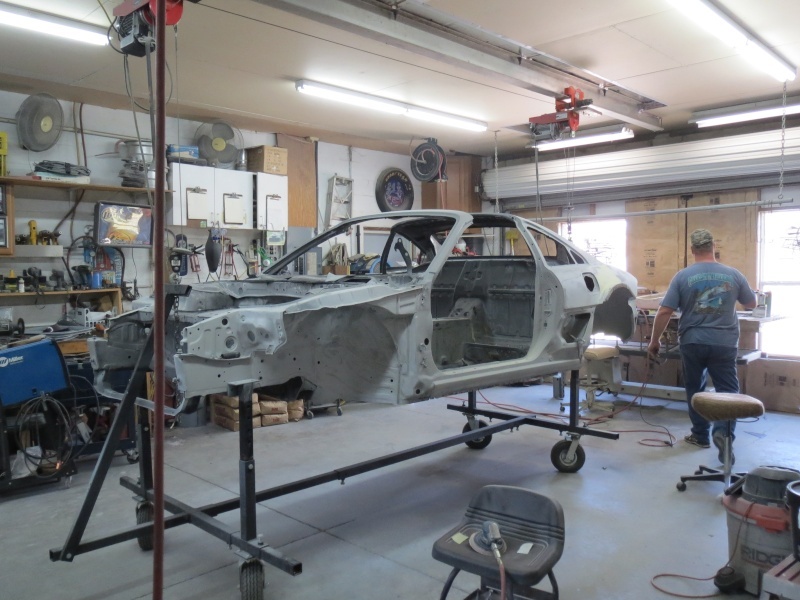 The car has been systematically striped to raw metal and sealed section by section. The TRD rear quarters had to be surgically remove. Thank God we did this as we found issues underneath that needed to be fixed and now are. The rear wheel wells were cut out and completely redone. The previous owner did a hack job which would of made you cringe. We engineered the new wheel wells to add rigidity to the quarter. 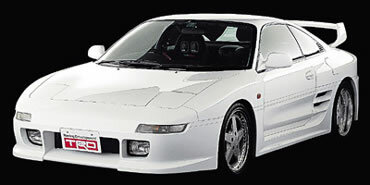 One of the things that have always bothered me about the TRD2000GT kits out there is the spongy feeling of the rear quarters if you lean up against the car. That would not of been acceptable in my mind considering the amount of work going into this. 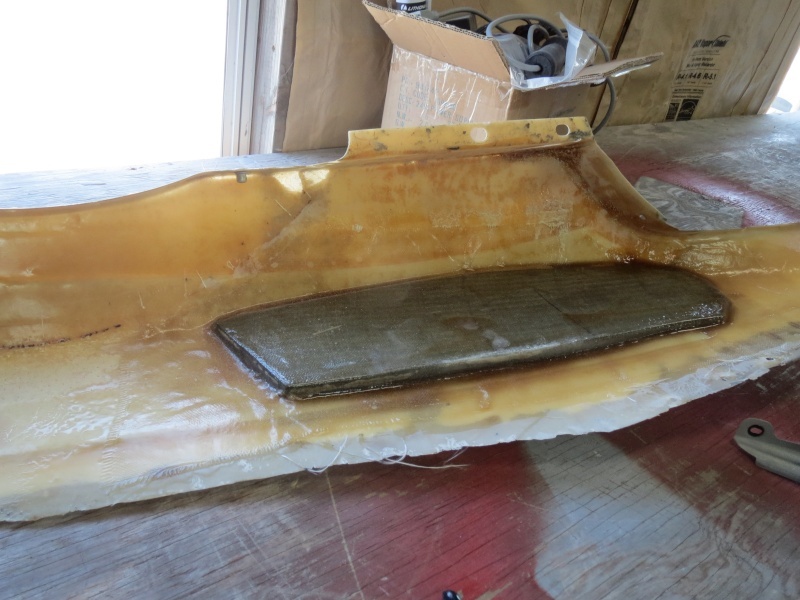 What we did to address this was use a structural foam normally used for boat floors. It may look heavy but it really is very light. Here you see the passenger side wheel well. Note the fingers on the end of the wheel well. This will be a bond point for the fiberglass quarters. On the inside of the wheel well it will be slicked out. Here you see just how far we took the wheel well towards the inside. We are now starting to finish slicking out all the seams. So all that will be disappearing very soon. Here are a few overall photos. We have opted to do away with the TRD gas cap. Cabinet hinges have no place on a car. Here is a part of the structure we are adding to support the new gas cap. This is very early on so I will post more pictures when this is further along.